Ever walk into someone’s home only to be met by a stench that turns your stomach? Then you silently wonder how that person can live there and not smell the obvious? Well, chances are, they’ve gotten used to the stench. Domestic violence is a stench that we all smell from time to time, yet we find it nearly impossible to really talk about it. Why? Because it’s a taboo, touchy subject, and we always feel as though we don’t know enough, can’t get involved, or would be stepping outside our boundaries if we address it. This silence is why it continues to run rampant in our society. I am someone who knows what domestic violence looks like, smells like, feels like. I know why it exists, why it is hard for someone being abused to walk away, and what may drive an abuser to inflict pain on another. Because I know the subject intimately, I often feel a responsibility to speak candidly from my own experience. I’m a survivor-turned-advocate who grew up in a violent environment. My father was abusive to my mother; my brothers were abusive to their children and their partners; and I’ve even had a girlfriend or two confront a cheating partner with an attack of physical violence. Hitting, kicking, and punching another person; verbally abusing someone by calling the person names; or using intimidation and control tactics—these are all spokes on the domestic-violence wheel. Unfortunately, it has become so commonplace today that many people silently deal with unhealthy relationships in which some of these behaviors play out, and they find it hard to share with anyone else for fear of judgment. The judgment is real because some folks find it hard to understand why a person being abused would remain in a harmful relationship. In my poem “Why We Stay,” I address this directly from my own journey. 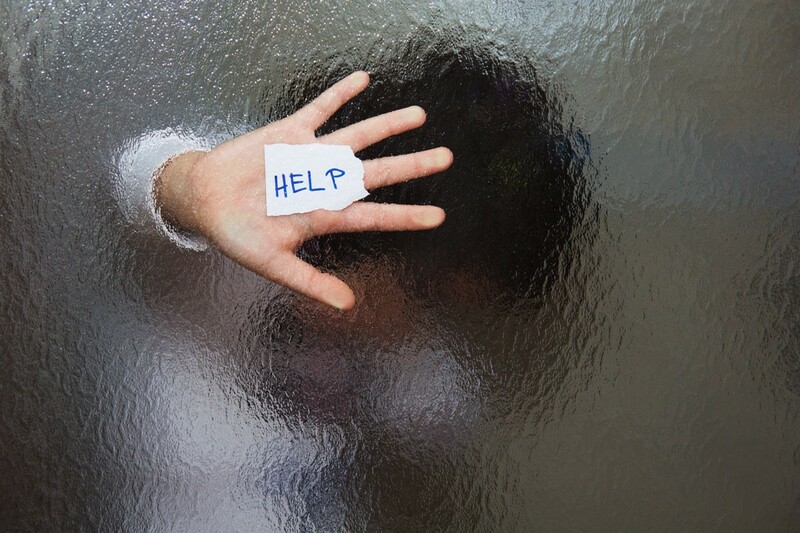 There are various reasons why victims might stay: sometimes they don’t have the financial means to leave; sometimes they think it’s their own fault or that they deserve it; and, more often than not, the people in the relationship are abusing each other and both allowing it to be the stench that permeates their household and relationship. Let’s face it, folks: the only way we get rid of the stench is to seek out its source. Where is that smell coming from? When did it start? What is rotten and needs to be thrown out? For many abusers and victims of relationship violence, it starts long before the point when they find themselves asking these questions. Some people have learned only one way to handle conflict or process heavy emotions. Some are repeating childhood patterns and cycles of abuse, doing what has been done to them. Physically harming another person is a sign of a lack of self-control and a desire to exert control over another person. These behaviors aren’t all just choices—for some they are mental illness. I’m not yet a licensed therapist, but I do currently hold a certificate from a 40-hour training class on domestic violence from Illinois Certified Domestic Violence Professionals. This is a course for those wanting to serve the community by appropriately and safely responding to domestic violence and raising awareness to prevent further violence throughout the community. The certification is needed for anyone in the state providing services for survivors of domestic violence. In short, I’ve done the work to learn as much as I can about the topic so I can inform and educate others. October is Domestic Violence Awareness Month, but this isn’t a topic that should be relegated to one month. Domestic violence affects women and families 365 days a year and should be treated like the epidemic it is. In every story of domestic violence, the pain and the problem are much deeper than the bruises we see. It used to anger me that people would speak so inconsiderately about a victim—saying things such as “Well, they must want it,” or “Why are they so stupid?” It’s just not that simple—at all. Victim-blaming is the number one reason no one wants to talk about domestic violence. But it’s high time we have some open dialogue about an issue that has been plaguing our homes and our communities for decades. Enough is enough. Solo Moms, where do you stand on the healthy-relationship continuum? Are you in a loving, peaceful, harm-free relationship? Are you or someone you know in an abusive relationship and need help? Are there questions, concerns, or comments you have in response to this article? We’d love to hear from you! ESME is a safe space, which means it is a judgment-free zone. Feel free to send comments and questions anonymously, as your safety is important to us, or join our confidential community of Sisters to connect with others Solo Moms who get it.